In the world of perfect food pairings, high on the list are balsamic vinegar and Parmesan cheese. Both originate in the same Emilia-Romagna region of Italy and they play exceptionally well together in this simple balsamic risotto. 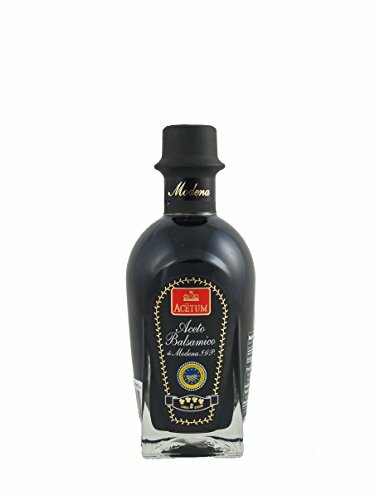 I first encountered balsamic risotto at a Michelin starred restaurant in Modena, Italy. The risotto was served as a simple side to an otherwise rather fancy meal. It was so creamy with Parmesan and the starchy risotto rice, and so richly flavored with the balsamic vinegar, it was the favorite of everyone at the table! This is my recreation of that dish, to which I have added some fresh cherry and Sungold tomatoes, as well as a few slivers of basil from my garden. This risotto is prepared in the classic way. First soften some shallots and garlic in butter, then add risotto rice and let the edges brown in the pan. Pour in a ladleful of dry white wine and let the rice absorb the flavors of the wine. The next step is what takes time. Risotto requires and rewards patience! Add a half cup of stock, and slowly stir the risotto rice. Add more stock only when the rice has absorbed the liquid already in the pot. Stirring slowly will help the rice release its starches which creates the creamy backdrop to the risotto. At the very last ladleful of stock, add some balsamic vinegar and tomatoes. Everyone’s palate is different, and every balsamic vinegar is different. So start with a tablespoon of what you have, and add more to taste! For this recipe I’m using vegetable stock. I make my own homemade vegetable stock because I like making stock, and frankly I have yet to find a boxed vegetable stock that tastes good. 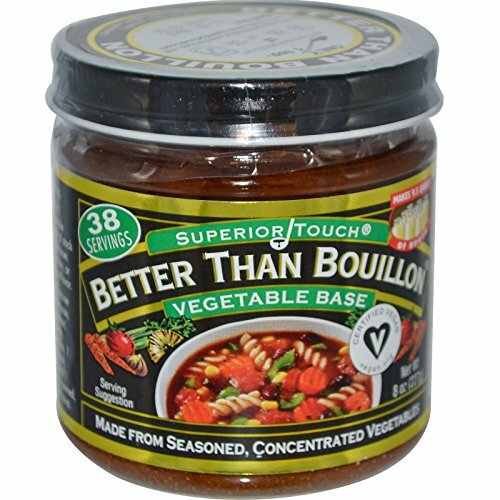 I have had a good experience with a product called “Better Than Bouillon“. So, if you want to use a prepared stock, I recommend that product (this is not a paid endorsement, I just like it). You could use chicken stock if you have it. I wanted a more veg-centric flavor to this risotto which is why I’m using vegetable stock. 1 Heat the stock: Bring 4 cups of stock to a low simmer in a small pot. Keep the stock warm while making the risotto. 2 Cook shallots and garlic: Melt a tablespoon of butter in a wide saucepan on medium heat. Add the chopped shallots and cook until translucent, a couple of minutes. Add the minced garlic and cook until fragrant, a half minute more. 3 Lightly brown the rice: Add the risotto rice to the pan and toss to coat with the shallots. Increase the heat to medium high and let the rice start to brown. 4 Add the white wine: Stir in the white wine. The pan will steam up. Let the rice absorb the wine. 5 Start adding the stock, 1/2 cup at a time: Here is the real process of making risotto. Add the stock, a half cup or ladleful at a time, slowly stirring the rice, and allowing the rice to absorb the stock for a minute or two, before adding another ladleful of stock. You'll want to stop adding the stock when the rice is cooked through, but still a little firm to the bite, "al dente". Note that you may not need all of the stock you have heated for this recipe. 6 Add balsamic, tomatoes, thyme with last 1/2 cup of stock: When it comes time for that last 1/2 cup of stock to add to the risotto, add it, as well as the balsamic vinegar. Balsamic vinegar can vary in its acidity and intensity. So, add 1 tablespoon to start, and add another tablespoon if you want more of the balsamic flavor. Add half of the cherry tomatoes and add the thyme. Let the tomatoes soften with the cooking of the risotto in those last few minutes. 7 Remove from heat, stir in Parm: When the risotto has reached it's "al dente" stage, remove it from heat. Stir in the shredded Parmesan cheese. Sprinkle with pepper. 8 Serve: Serve with remaining halved fresh cherry tomatoes and thinly sliced basil on top. Hello! All photos and content are copyright protected. Please do not use our photos without prior written permission. If you wish to republish this recipe, please rewrite the recipe in your own unique words and link back to Balsamic Risotto with Tomatoes and Basil on Simply Recipes. Thank you! I would suggest if you are going to buy the Better than Bouillon, that you buy the 50 to 53% less salt. Because even this one has plenty of salt. Hi Charlie, I agree with you on the Better than Bouillon salt issue. While on the package it recommends 1 teaspoon per a cup of water, I typically use only 1/2 a teaspoon, otherwise it’s too salty. Your recipe says 1/c c shallots, which I imagine is just a typo. Can you clarify for me? Thank you. Hi Catherine, thanks for catching the typo! It’s fixed. 1/2 cup.